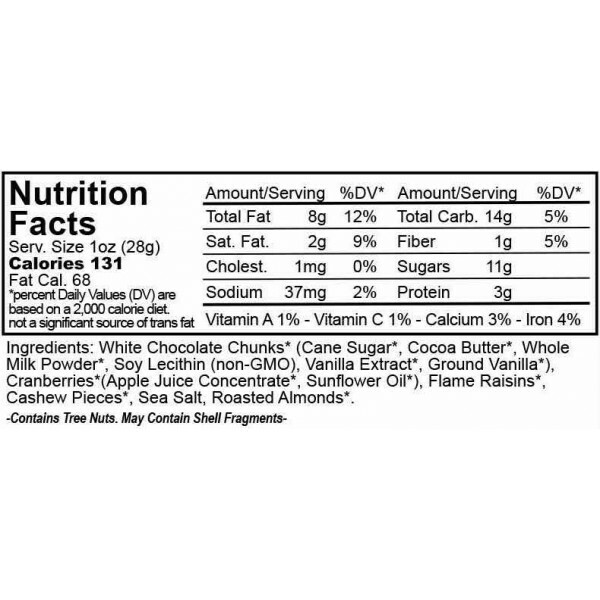 Ingredients *Dry-roasted almonds, *Salted cashew pieces, *Raisins, *Apple juice infused cranberries, *white chocolate. One of our signature mixes and a delicious treat anytime or anywhere! Our white chocolate chunk mix is a super combination of organic roasted/salted nuts, dried fruit, and of course decadent white chocolate. ORGANIC DRY-ROASTED ALMONDS - fresh, crunchy, and roasted to perfection without any oils or other junk. The roasting process really brings out the flavor in any nut or seed. ORGANIC SEA SALTED DRY-ROASTED CASHEW PIECES - Explosive in flavor with just the right amount of salt! 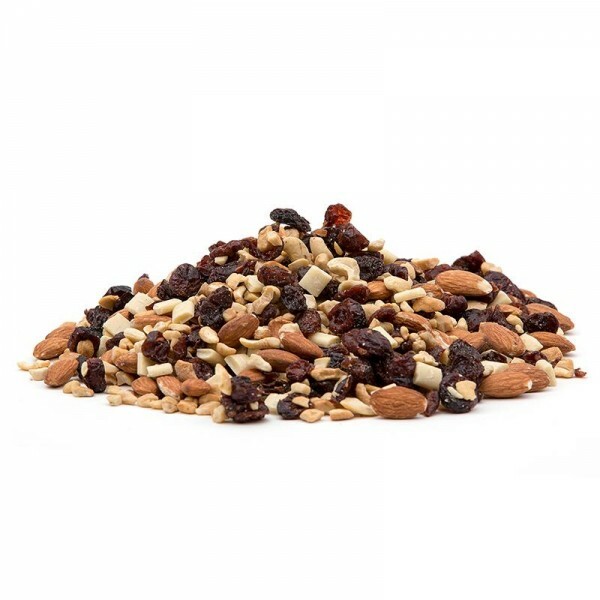 ORGANIC RAISINS - These fresh chewy California grown raisins add a little sweetness to this mix. ORGANIC DRIED CRANBERRIES - Dried, and infused with organic apple juice to sweeten. Tasty, and packed with health benefits! ORGANIC WHITE CHOCOLATE - Sweet and savory white chocolate helps finish off this incredible mix!